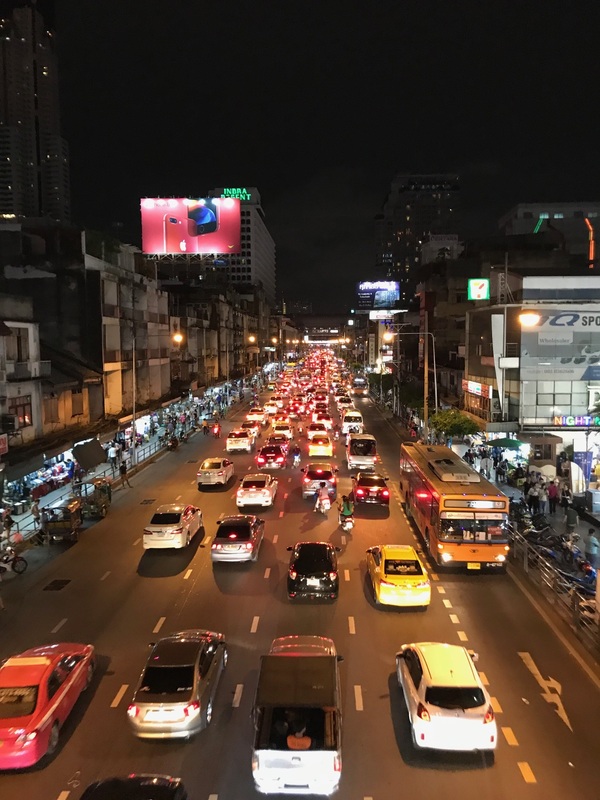 After 18 hours of travel without any sleep, you’re normally exhausted and are looking forward to your hotel room, but not if your destination is Thailand. My curiosity and excitement gave me more energy than 2 double espresso in the morning. Even if your mood should not be the best after such a long travel, it will not last for long since people, it doesn’t matter where you are looking to, reveal where the nickname ‘Land of Smiles’ originates from. Why? Before realizing the impressive size of the international airport Bangkok, a very pleasant Thai, dressed in a colourful overall, asked me where I am heading to and if I would need some help. Apparently, I looked a little bit lost due to the overwhelming artworks and colourful constructions within the arrival hall. 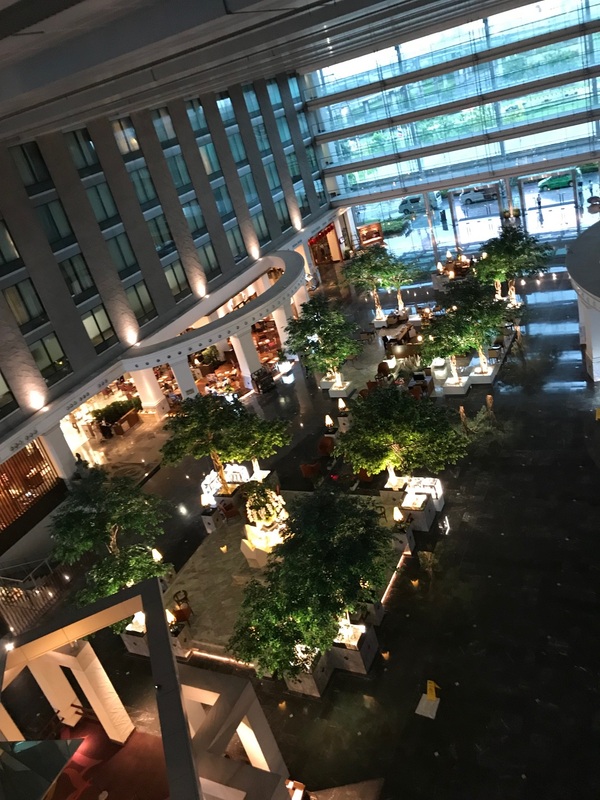 After at least 20 more smiling faces and a few seconds of orientation to find the fastest way to the airport hotel, I arrived in the lobby, got my room and dropped off my luggage. It was 7pm, time for dinner and the first open air experiences in Bangkok. Everyone knows the fascinating YouTube clips about the colourful and busy streets which exactly mirrors my impressions but the merge of varieties of music and smell creates a unique atmosphere I have never experienced before. Hundreds of food stands located in the streets doing live cooking directly in front of you. More than tempting. After walking through one of the dozens night markets where you can get everything from trousers to fried crickets. We finally chose a small restaurant called Seafood and Beer, whatever you ordered, it was more delicious than any other Thai food tried in my home country Germany. 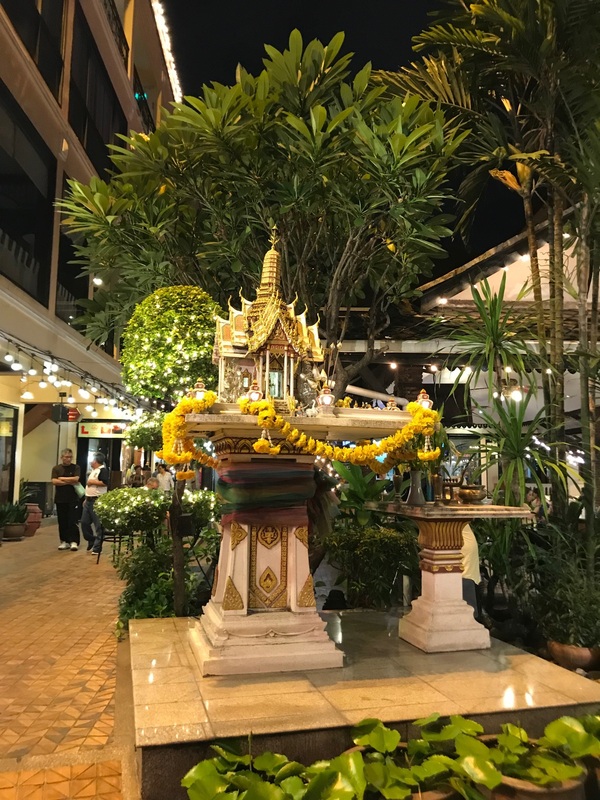 Since our next day’s schedule required us to go up early to visit the first company, we only did a short walk around the Silom area and my first impressions about a busy city where you only can find friendly smiling people wherever you are looking to, intensified. 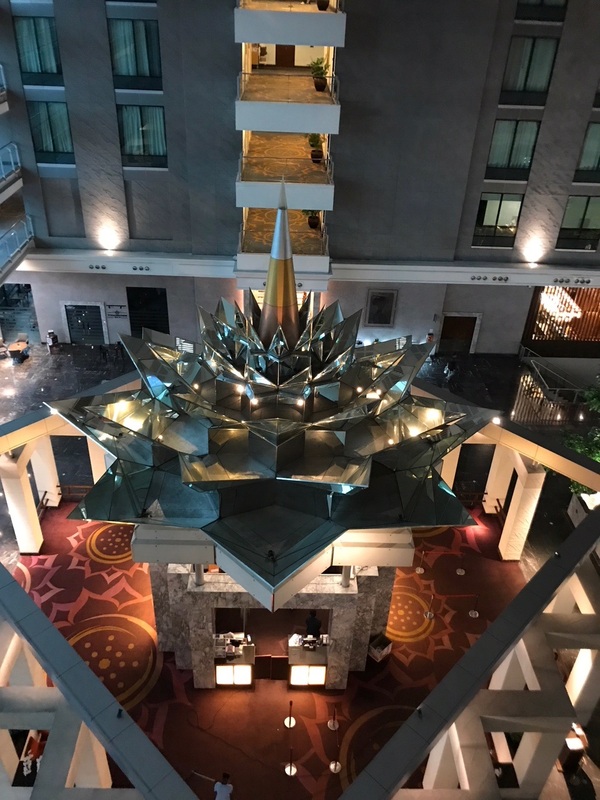 Having arrived back in the hotel, I had some minutes to reflect, I realized that the first evening already has passed by within fractions of seconds and my expectations had been more than exceeded. What a great first evening in Bangkok with its lovely, diverse people. I am looking forward to the coming days!